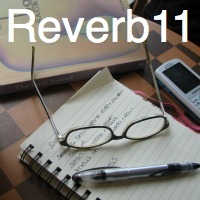 #Reverb11 Day 11: What do you wish you had done more of in 2011? …yet still I squander time. Dwelling, daydreaming, pondering, flights of fancying, zoning out with brain-dead TV or brain-deader magazines, even re-reading old literary favorites when I should be expanding my horizons with new authors. I get things done. I just don’t think I get enough things done. I can multi-task like fury, yet part of my mind still runs along these lines of indulgences, which sometime leap up out of the stream to take over entirely. Of course, I wouldn’t do it if I didn’t enjoy it. And if you get a compatible pal to indulge with you, you can lose copious amounts of time before you know it. Brain candy. It’s what’s for dinner. I just looked over at the “costume closet” which is also the “beading supply closet” and “a few other items” closet and my god, the amount of stuff I have crammed in there makes the War Drobe out of Narnia seem ridiculously sparse. Spent more time being active. When I was unemployed, I got into an excellent routine of exercising every day. Mind you, I am not seeking to return to this state, but I did hope it would cement good habits in me for once in my life. I had a Walking Buddy at the job I had before this one and I have a Walking Buddy now, but when I think about how much more time I spend glued to my office chair, I feel woefully inactive. It’s my own fault, of course. Even if I haven’t been a wuss during the day and actually got outside, when I get home in the evening the first thing I think of is food, and the lack of a Jetson’s kitchen means that takes time. We tend to eat plunked in front of the TV, which is a horrendous habit even though I always have a book with me. That takes more time. Then instead of going out for a walk or visiting the elliptical that lives in the basement, I go sit somewhere else. Such as here with my computer. Or on the floor with the guinea pig, who uses his time wisely because guinea pigs are smart like that. Part of this slump is because when I get home after a long day and long commute, I just want to relax. The trouble is I relax too long. I’m also awfully good at making excuses. Fabulous reverb11 badge made here. Squandered time… yes yes yes yes yes. I swear, I’m the worst. I’m a procrastinator extraordinaire, and sometimes I just don’t do the things I know I need to be doing. I always say I’m going to work on that, but, well… then I get distracted haha. Yes, and then they get put off so long it just gets embarrassing and there’s no point in even trying to do them at that point. But I’m glad you didn’t put off reading this, hee hee! 🙂 Thanks for commenting. I don’t know the song but Google will take me right to it I am sure. The trick here is realizing what you want and going for it. There isn’t anything on your list that can’t be accomplished. Thanks for sharing. Thank you for reading! And you are right–that is the trick, and that’s all it is.